← Come to my Fiction Writing Workshop at Drexel University! Book Club #35 The On-Line Outlanders! 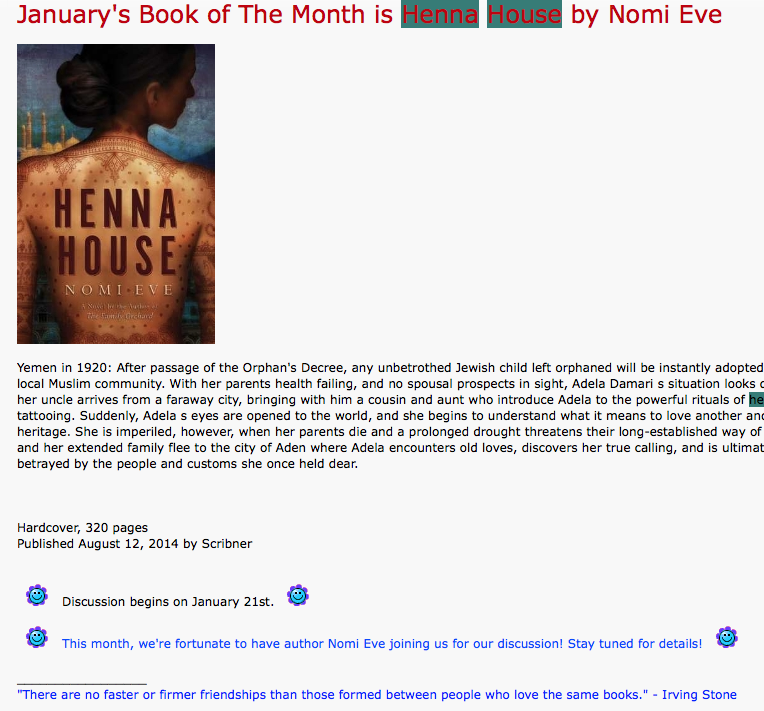 Right now as I am sitting all toasty in my house during a snowstorm, Book Club #35, The Outlander Book Club, is discussing Henna House on their on-line forum. And…in a few minutes I will be Skyping with a Book Club #36 in Toronto. I am awed by readers everywhere — and so grateful to modern technology for broadening the possibilities for interactions between authors and readers. And a hearty hello to book Club #35, (the Outlanders out there) I’ve been reading your comments, and I love what you have to say about my book.